Dr. Ben Merrick and his fiancé, Rachel Gardner, can’t get her divorced parents to stay in the same room, much less attend their wedding together. He is already looking over his shoulder expecting more trouble from a very senior surgeon who has shown he is still smarting from a previous dust-up, but Ben doesn’t know if a series of mishaps and accidents are caused by a disgruntled patient’s relatives or represent more from the older surgeon. Complicating it all is the question of whether Rachel’s father is back doing drugs. Then, when people start dying, Ben and Rachel wonder if they can escape unscathed…and alive. My thoughts (review by Steve) Dr. Ben Merrick has been having a rough day. In fact, he's been having a rough few weeks. And for the life of him, he can't figure out why. Although he does have his suspicions. It could all be filed under the letter “K,” for Dr. Kasner. Ben’s ethics had compelled him to question Dr. Kasner’s treatment of a patient who had subsequently died. Could Dr. Kasner be making this personal? Ben’s fiancé, Rachel Gardner, has her own packet of troubles. Desperately hoping for a temporary truce between her mom and dad . . . at least until after the wedding . . .the 2nd Floor nurse received the rather cryptic news that her father had approached Ben for a large sum of money. And he wouldn’t say why. The wheels started spinning in Racehl’s mind, and the places it took her were not pleasant. Are these simply a series of unfortunate events, or could there be some method to the madness, after all. And will Ben and Rachel live long enough to uncover the truth? 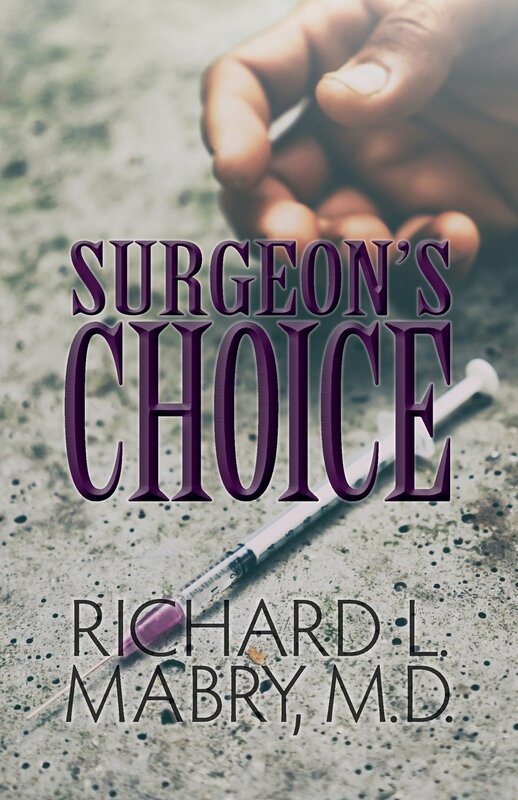 Dr. Mabry writes medical mysteries that will keep you on the edge of your seat, while at the same time opening the reader’s eyes with a clear, unashamed faith message. Dr. Mabry is a retired physician, yet this latest work clearly demonstrates that “retired” does no necessarily equal “dead.” He kept me Googling subjects and terms that I have never come across in my life. And while I took extensive notes throughout the book – I was STILL unable to discern “whodunnit” until the closing pages! Thanks, Laura. Glad I kept your interest, and hope Surgeon's Choice does the same for others. I appreciate the review. 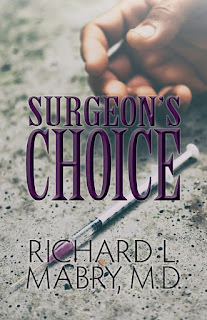 Oh my, Surgeon's Choice is going on my TBR list. I've read other books by Mabry, MD and this one sounds fabulous. Thanks for the great review.